The West and many other donor Nations should stop encouraging corruption in the poor developing Nations, especially those in Africa which are already suffering from poor Governance. assistances have not been making any differences because it has not been reaching the ground. returned back to the same donor Nations from where it came. The Western Nations and other donor Nations should no longer pretend that they are unaware of the trillions of dollars already looted from the poor Nations in Africa,now lying idle in personal bank accounts abroad, owned by the corrupt African leaders. loans now lying idle in personal foreign bank accounts after being stolen from public coffers, yet more and more loans continued to be given to those same corrupt leaders. After the late Muammar Ghadaffi was removed from power, The US announced that he had 30 billion dollars in the USA. The US stated very clearly that the money had been looted from the Libya public coffers by the late President. The US had all along been silent over the Ghadaffi loot until he was out of power. The Western Nations and many other donor Nations in the World are silent over the trillions of dollars stolen from poor Nations by the corrupt African leaders, already banked in foreign personal bank accounts, as poor human beings continue to languish in abject poverty and unwarranted suffering. Before more grants and loans are released to the poor Nations where corruption is rampant, a stern action should be taken on the already looted money banked abroad. The already looted money should be frozen, recovered and returned to the respective poor Nations, after which more grants and loans may be given to those needy Nations. It is an encouragement of corruption to both current and future leaders in Africa, if the West and other donor Nations continue to give grants and loans to poor Nations, knowing so well that the money will be looted and returned there. The West and other donor Nations should freeze, recover and return all the looted public funds banked abroad back to the poor Nations, as a sign of transparency and honesty. If the Western Nations and other donor Countries cannot do so, they should stop giving any more money to the poor African Nations in the name of helping the poor, but instead, release such money in the name of enriching the corrupt leaders. Kikimo Foundation for Corruption and Poverty Eradication. Wanjiru Kamau will never forget the shock of arriving in Corvallis, Ore., from Kenya—moving as a 20-year-old student to a foreign land. “Leaving my family and my country, coming to a place where I knew no one, that was the most difficult but also the most exciting thing I’ve done in my life,” says Ms. Kamau, now 70. She remembers finding common things, such as shopping at the grocery store, strange. Ms. Kamau grew up in rural Kenya on a small farm, working the land with her mother and two sisters. Her father died when she was a baby. Pushed by her mother to pursue an education, she worked hard at her studies and was eventually offered a chance to attend college in the U.S. in 1960. “I wasn’t scared to come to the U.S., because my mother taught me to be strong,” says Ms. Kamau. As a girl, she learned to farm, cut trees, slaughter goats and help run the finances for her family’s 15-acre farm, while also walking miles to and from the local schoolhouse each day. Ms. Kamau eventually earned degrees from San Jose State University and Pennsylvania State University. 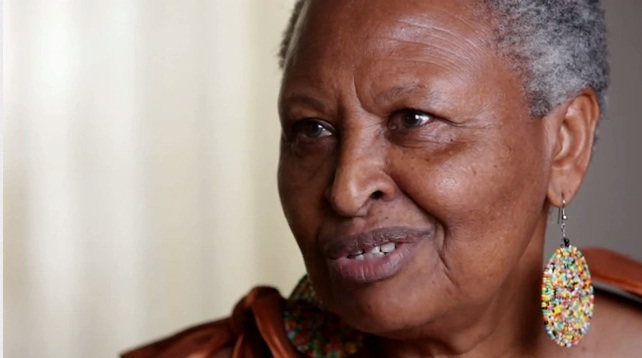 She spent several decades back in Kenya working at the University of Nairobi and raising four children. She returned to the U.S. in 1988 to pursue a Ph.D. and later worked as an adjunct professor at Penn State. She also met many African immigrants who struggled to adjust to their new lives. Many were refugees, bewildered, illiterate, and unsure of how to find housing or register their children for school. So in 2000, Ms. Kamau resigned from Penn State, withdrew $10,000 from her retirement account, and moved to Washington, D.C., to start a nonprofit organization called African Immigrant and Refugee Foundation. The organization provides African immigrants such assistance as mental-health services, English classes, tutoring and cultural clubs for children, and help resolving conflicts in domestic-violence disputes. “People come to us injured in some way, and we help anyone with any problem,” says Ms. Kamau, who adds that she received two calls just that day from women having problems with their violent husbands, and another from someone needing help filing asylum papers. “My phone rings off the hook at all hours,” she says. Since 2000, Ms. Kamau’s foundation has provided help to more than 6,000 immigrants from 45 African countries and has given cultural training to more than 2,500 school counselors, caregivers, and others who work with African immigrants. Ms. Kamau has no official employees, but she does hire consultants. She works more than 10 hours a day—fielding requests from immigrants, fund raising and planning for her organization’s annual conference. As tide of illegal immigrants goes home, will US economy suffer? 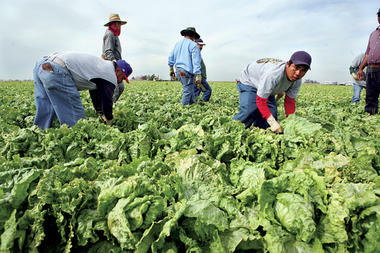 Legal laborers – mostly Mexicans – picked winter lettuce near Somerton, Ariz., in February 2009. As more legal and illegal immigrants stay home, there is concern about how it will affect the US labor pool. This is part of the cover story project in the April 9 issue of The Christian Science MonitorWeekly magazine. The steady stream of immigrant workers who used to line up at Tim Dunn’s Arizona farm, ready to pick vegetable seed crops like black-eyed peas and garbanzo beans, has mostly dried up. We just don’t see people walking up, looking for jobs like they used to,” he says. Now he has to pay a labor contractor to find enough people to tend his 2,200 furrowed acres under the harsh Sonoran sun near Yuma, in the southwestern corner of Arizona. The dwindling supply of labor available to Mr. Dunn illustrates a significant shift in migration from Mexico, which has caused illegal immigration to drop to its lowest levels. Even as states loudly debate new immigration restrictions – including Arizona’s proposed armed, all-volunteer state militia to keep Mexicans from sneaking across the US-Mexican border – research suggests the illegal immigration has slowed. Similarly, Homeland Security estimates released in March suggest that while the number of unauthorized immigrants living in the US grew 36 percent between 2000 and 2011, from 8.5 million to 11.5 million, that growth plateaued in 2010 and 2011. “With no change in either direction, we’re roughly at a net zero,” says Massey, and adds that it’s something unseen since the late 1950s. The 2004 movie “A Day Without a Mexican,” in which the state of California grinds to a halt when Mexican laborers suddenly disappear, satirized a thesis that is now a subject of real-life debate among experts. What if the workers that farmers, hotels, and restaurants have relied on for decades don’t come back? Will crops rot, beds stay unmade, and dirty dishes pile high in restaurants? Those sectors can’t outsource labor; so will they slow, downsize, and will that create ripple effects across the already straitened US economy? Experts agree that illegal immigration has declined sharply in recent years and cite the overall lack of work as the main reason many Mexicans choose to stay home. But the big debate is how permanent the trend is. Most experts expect the flow to return once the US economy rebounds. But some say there are other factors at play that could keep Mexicans home, including more access to legal US work visas, border enforcement efforts on the US side and drug-war insecurity on the Mexican side, demographic shifts in Mexico, and growing economic incentives there. The shrinking labor pool already is having an impact in agricultural fields scattered throughout the US, some say. For example, a University of Georgia report projects that, when 2011 figures are tallied, the state economy will show a $391 million loss due to farm labor shortages. Georgia is one of several states that – following Arizona’s footsteps – recently passed laws aimed at illegal immigration. Farmers across the country are experiencing near-term crop losses and scaling back operations, confirms Libby Whitley, president of Mid-Atlantic Solutions in Lovingston, Va. Her company handles visa applications for 600 employers who use temporary legal workers, mostly from Mexico. In the more than a dozen states that require businesses to confirm employment eligibility through the Internet-based federal program E-Verify, employers are in a corner. “The em-ployers just really don’t have an option,” Ms. Whitley says. She adds that the farm labor workforce is 75 percent illegal. Whitley has noticed growing interest in the H-2A visa program that brings in temporary seasonal farmworkers. But many employers still shun these visas, saying the program – which requires housing provisions and set wages – is too bureaucratic and costly. Advocacy groups long have maintained the program is fraught with employer abuse. Massey says spot shortages are possible in sectors that employ large numbers of Mexican workers, particularly agriculture, but he believes that a gradual shift toward the use of guest workers may offset any potential labor deficiencies. The US State Department reports a 53 percent increase in temporary visas for seasonal farm work issued between 2006 and 2010. And other visa categories are driving the expansion, too, including those for professional health and technology workers under the North American Free Trade Agreement. He says the flow of immigrants will return when the demand for workers is back, although “we’re not anywhere near there” yet. “As long as the large wage differences between Mexico and the US exist, there will be incentives for people to endure the real risks of crossing illegally,” says Judith Gans, manager of an immigration policy program at the University of Arizona in Tucson. She says that as jobs do become available, the pressure on the border will correspondingly increase. In the long term, the changes in Mexico and shifts in migration in all of Latin America may ease the pull north of the border, Ms. Gans adds. The impact of fewer illegal immigrants coming into the US will depend on how long it takes for the economy to bounce back, says Audrey Singer, a senior fellow at the Brookings Institution, a Washington public policy group. Posted in Immigration | Comments Off on As tide of illegal immigrants goes home, will US economy suffer? They were both tortured by GSU officers, but only one was captured on tape. 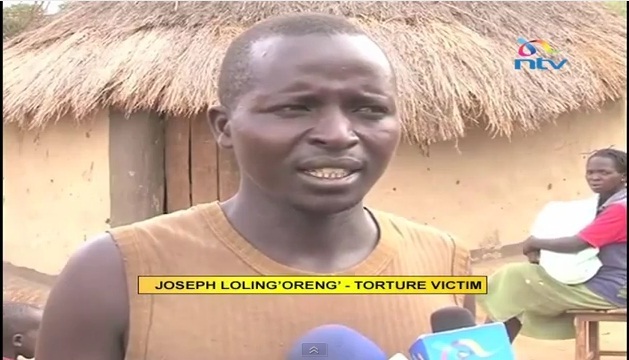 NTV caught up with both men who claim to have been beaten senseless by police. One of them says he never saw the TV footage aired by NTV and was only responding to reports from his fellow villagers. He met with the 18-year-old boy, who was captured on tape; to explain why he made the claim he did last night. Here now is NTV’s Sheila Sendeyo with the new twist that seems to prove that torture in the region is simply routine. The youth are talented and full of energy and if channelled in the right direction, the outcome is amazing. But at the same time there are a number of problems they face which sometime may turn them to something else. From unemployment to public policy, Kenyan youth are turning to mobile phones and social networks to voice their concerns and encourage policy makers to address their needs. Unemployment ranks as one of the most important issues shared by Kenyan youth. Whether highly educated or not , the unemployment is a challenge to all more so in a developing country like Kenya. The biggest headache for many new young graduates is the so called “Experience tag”. It is the reality that you can’t get a job without experience, and at the same time, you can’t get experience if you are not given the job. It is a Catch 22 kind of a situation. Are the employers to be blamed entirely? I don’t think so. Companies prefer to hire people that can hit the ground running. Yet, Kenyan youth are not sitting idly by to let their frustrations build. They are communicating with one another and sharing discussions on the current state of affairs the country is challenged with. The most amazing trend is the growing rate of young people who are now using mobile phones, and to a larger extent, social media to do amazing things. With a short supply of work, they have the time to collect their thoughts and voice their opinions to others in the community, which is fostering a high level of awareness. The same energy has not gone unnoticed by politicians and policy makers. A majority of them have joined social networking sites like Facebook and Twitter to reach out to the young people. A good example is when the current budget was being prepared by the Kenyan Minister of Finance Uhuru Kenyatta. In what was a first not only in Kenya locally, but probably globally, Kenyatta asked Kenyans to share their ideas and suggestions on the budgetary interventions that they would like to see in the 2011/2012 Financial Year Budget through his social media accounts, among them Twitter and Facebook. The response was overwhelming. The Treasury received an unprecedented 4,000+ submissions through Twitter, Facebook and blogs. Another classic example of young Kenyans setting the agenda on social media came last summer. Due to the pressing situation where many Kenyans were affected by the drought, young Kenyans grew weary of waiting for the government and other NGOs to step in. Youth took matters into their own hands. Ahmed Salim – also known as @ahmedsalims on Twitter – in collaboration with Kenya Redcross, started a campaign on Facebook and Twitter that urged Kenyans to skip at least one meal and donate it to feed starving Kenyans residing in the Northern part of Kenya. Donations were made through SMS on the mobile money payment system, Mpesa. The campaign dubbed #FeedKe went viral on social media just within a few hours. A week later, Kenyan corporate members, among them mobile phone network operator Safaricom, Kenya Commercial Bank and Media Houses, joined the campaign. At least Ksh114,564,470 ($1,287,241) had been raised. Not only did youth manage to raise awareness and combat a humanitarian crisis, but they bypassed the current political system and effectively solved a critical problem under one collective. The debate continues as many young people are now outrightly telling the government to come up with lasting solutions for the recurring drought in Northern Kenya. Without a doubt, the use of mobile phones and the creativity of Kenyan youth have made Kenya a shining light in Africa when comes to technology and direct action. As more youth are becoming increasingly civically engaged and drawing attention from politicians, Kenya is sure to be a country of incredible social and political growth for the next coming years. 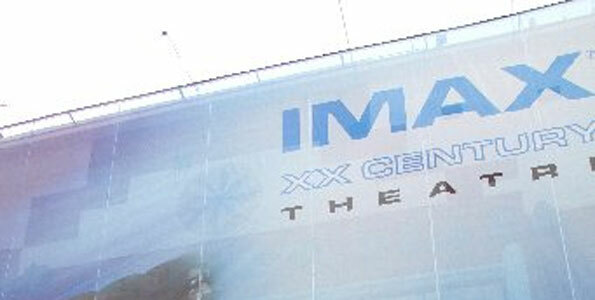 Photo/Diana Ngila IMAX 20thCentury Theatre formerly 20th Century Fox Cinema situated along Mama Ngina Street. The screen is one of a kind in East Africa. Kenya’s first IMAX theatre was launched last week over cocktails and bitings. The open bar had free flowing drinks for those who made an appearance at the cinema hall. The screen is one of a kind in East Africa. IMAX has two commercial screens in Africa, one in Morocco that was launched early last year and the Kenyan one. A third theatre screen is expected to be launched in Cairo later this year. The screen covers one end of the wall to the other from floor to ceiling. What was once 20th Century Fox Cinema is no more except in the name of the plaza hosting the new IMAX 20thCentury Theatre. The usual screen and sitting space was expanded into the massive hall that previously housed two screens. To accommodate the new set-up, the theatre had to have its roof elevated, the incline of the seats steepened and its screen widened to almost double the size of an ordinary theatre screen. The 17×9 metre screen would take up approximately thirteen 51inchplasma screens to fill its face; this creates the ultimate visual haven. The theatre experience was one that Nairobi folks were yet to experience locally. A movie viewed on IMAX make one feel as if you are right in the movie. Its 3D effect is brought so near to you that the movie seems to be unfolding around you. Its sound system is so powerful that you do not just hear the sound but feel it and resonate with it. The 3D scenes in the movies screened at the IMAX theatres are usually partially shot using IMAX cameras while the documentaries are shot fully with IMAX cameras. The theatre will also be screening educational documentaries along with the blockbusters. The usually cramped seating has been expanded to allow one to comfortably stretch their legs or move across the rows without stepping on people’s toes. Temperatures inside the theatre are low so it is advisable that you carry something warm to wear if you do not fancy the cold. Blue sky world representative, Alexei Serkov said they were proud to be the first to bring the IMAX experience to Kenya. The audience was treated to a fashion show by designer Elena Vinioreskaya. NAIROBI, Kenya April 8 – Foreign Affairs Minister Prof Sam Ongeri denied on Sunday he is part of an alleged plot to eliminate Prime Minister Raila Odinga. Prof Ongeri said he was consulting with his lawyers with a view to taking action on Gem Member of Parliament Jakoyo Midiwo who linked him to the alleged assassination plot on Saturday when he spoke at a funeral service in Bondo. Ongeri who spoke at a function in his constituency on Sunday afternoon said he is a believer and his profession does not allow him to engage in the alleged plot. “I save lives and not terminate it. My professional code of ethics and religious beliefs do not allow me to plot to kill,” Ongeri said. Midiwo made the claims at a funeral service in Bondo on Saturday and was later picked up by detectives who wanted him to substantiate the claims but was freed later and ordered to report to the CID headquarters on Tuesday. “I was in Serena to propagate for peace. How can I be the one to commit such heinous crimes? 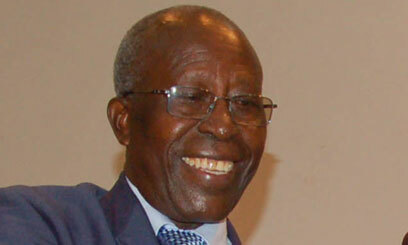 I stand for the same peace,” Ongeri said. Midiwo is due to record a statement with the CID on Tuesday to enable them investigate the claims. Police expect the Gem MP to provide them with details of the alleged assassination plot, people involved and how he learnt of it. Detectives will then analyse the information and they are likely to also write statements from the people named by Midiwo if they find it necessary to do, depending on their findings. “The case has been moved to Nairobi, we will hand them a preliminary report of the investigation so they can proceed,” a senior officer at the Nyanza Provincial police headquarters told Capital News. When Midiwo made the sensational allegations at the funeral of Dr Lehiah Godi in Bondo, he also implicated Prof Ongeri. 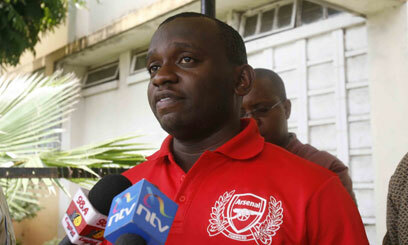 He claimed the move is a wide plot by Odinga’s opponents to sail through in the coming elections. NAIROBI, Kenya April 8 – The family of a man who died on Friday night after allegedly being pushed off a police truck in Nairobi’s Kilimani area is now demanding an unconditional apology and compensation from the government. They want Internal Security Minister Prof George Saitoti to intervene and ensure they get justice. The family of Fred Obado, an engineer with the Kenya Data Networks (KDN) was informed about his death by a traffic policeman who claimed he was a victim of a hit and run accident on Jabavu road. “The officer just told us our brother had died of a hit and run accident, he has even declined to show us the scene of that accident because he only stated that it was somewhere on Jabavu road,” Steve, a brother to the deceased said. The 28-year-old man was among dozens who had been arrested during a crackdown on Friday night and were being escorted to the Kilimani police station when the incident occurred. He had been picked up from a bar in Highrise estate where he also left his vehicle. “This is information we are getting from people he was with at the bar. Some of them were with him in the police truck when he was pushed out,” Steve said. “We have every reason to believe this theory because the police are not being cooperative with us at all, they have even declined to show us the sketch of the alleged accident, they just told us to go view the body at the city mortuary,” he added. Quoting the witnesses, the family said their kin was hit and forced out after an argument with a police officer before he landed on the tarmac. Some witnesses have claimed he was told to alight from the moving truck after paying a bribe of Sh1, 000 to secure his release. Police have denied all this and insist Fred was not among the people arrested during the Friday night crackdown. His father Hezron Obado appealed to the government to expedite an investigation into the death. On Sunday, a vehicle belonging to the deceased was still parked outside the bar where the suspects are said to have been picked up from at Highrise estate. His brother said he had contacted KDN where his brother worked for them to collect it because it had been hired by the company for use by his brother. It is the second incident of this nature after a family in umoja estate also demanded a probe into the alleged murder of a 21-year-old man who had also died in a commotion during a security operation in a bar. The family of Mark Muiruri claims he was thrown from the first floor of the bar when the police stormed in to arrest patrons. He had just graduated from the Kenya Institute of Management (KIM). “We are told that the police stormed Gullop (bar) and in the ensuing commotion Muiruri was killed by the officers,” his mother Rebecca Michuki said. She claims that the officers who were conducting the swoop later tried to cover up the murder of his last born son claiming he jumped from the first floor while fleeing from the officers. “What is shocking is that the police officers seem to have thrown out Muiruri’s body from the first floor to twist facts that he died after jumping out of the bar,” she claimed adding that Police at Buru Buru police station refused to address them instead directing them to the City Mortuary. Area residents who held a demonstration protesting the alleged murder also dismissed the police version. “If you are to jump from this first floor, you can clearly see that you cannot die even if you weigh more than 80kgs but maybe suffer slight injuries,” said a woman who did not want to be identified for security reasons. 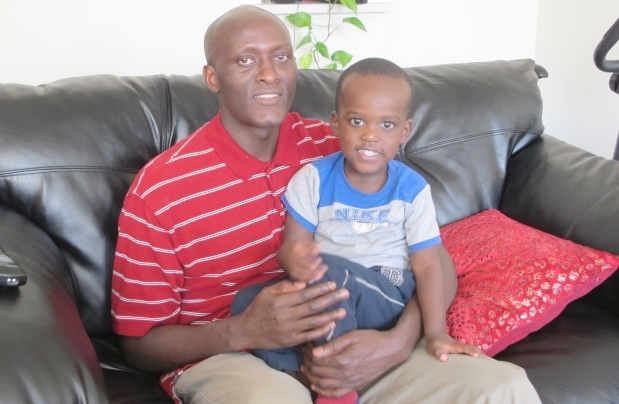 Richard Nyaribo, and his three-year-old son, Joshua. Nyaribo endured a nightmarish scenario when his Kenyan mother, Jerusa Nyaribo, was diagnosed with colon cancer while uninsured when visiting in Nov. 2010. EDMONTON – Any day now, Richard Nyaribo expects a medical bill to land in the mail slot just outside his Mill Woods apartment. He has no way of paying. Nyaribo isn’t sure exactly what he owes the Cross Cancer Institute, but he expects it could be anywhere from $15,000 to $20,000. “Up to now, nothing has come, but I am expecting something, I am expecting something,” Nyaribo, 38, said Saturday with a grim laugh. His life was radically different two years ago, when he and his wife had a home and were raising an infant son, Joshua. In May 2010, Nyaribo’s 70-year-old mother Jerusa arrived from Kenya to visit and help take care of her new grandson. Just before she was set to return home a half-year later, she began experiencing mild stomach pains. A trip to the nearby Dominion Medical Centre led to tests, more tests, and the terrorizing diagnosis of colon cancer. Making matters worse, her travel health insurance had expired a few weeks earlier. The family had to pay for everything, including the tests, surgery, recovery and chemotherapy. Costs quickly spiralled out of control. A colonoscopy set them back $2,200, a CT scan cost $1,500. Those bills were paltry compared to the five-day surgical stay at Grey Nuns Hospital, followed by a week at the Cross Cancer Institute. They didn’t have deep pockets. Nyaribo keeps books for L’Arche Association of Edmonton, a Catholic not-for-profit organization that cares for intellectually delayed adults in homes rather than institutions. He shared his troubles with his boss, Sister Pat Desnoyers, who contacted the Journal. After an article just before Christmas 2010, donations and prayers flooded in. Nyaribo marvels at two checks, each for $10,000 — one from someone he didn’t know — along with dozens of smaller gifts. All told, he1 received nearly $35,000, mostly from people connected with L’Arche. The generosity continued as treatments began. Doctors quietly forgave bills, volunteering to see Jerusa for free. Two months into treatment at the Cross Cancer Institute, fees were getting waived. But the existing bills were still daunting. Additional MRI scans and X-rays each cost about $2,000, each visit to a specialist cost over $500, eight rounds of chemotherapy totalled another $6,500. Jerusa’s condition worsened. She developed mouth sores and couldn’t swallow her saliva, let alone eat. Chemotherapy was stopped, and at one point, doctors asked Nyaribo about his mother’s last wishes. “We almost lost her,” he said. After a difficult stretch when Jerusa was hospitalized for 10 days, Nyaribo returned to an empty home. His wife had left, taking little Joshua with her. They now share joint custody of their son, with Nyaribo taking him on weekends. He sold the house to pay the bills, moving into a sparely furnished apartment. But things began to turn around for Jerusa. A blood transfusion saved her life. Chemo levels were fine-tuned. In February, she was well enough to return to Kenya. She still had a tumour on her stomach when she left, deemed benign by doctors. Another tumour on her back couldn’t be biopsied, but was shrinking. Nyaribo doesn’t trust doctors in Kenya, who tell his mother her stomach tumour is cancerous and in need of surgery, even without a biopsy. They’ve seen records of her Canadian treatment, he worries, and may be trying to extract money from the family. Even with the ongoing health worries, Nyaribo said he’s grateful to still have his mom, who might not have lived if she hadn’t visited. They talk each week, with Nyaribo passing the phone to Joshua, who turns three in May. Jerusa calls her grandson “doctor,” hoping that he can one day help others. She’s a devout Seventh-day Adventist who raised 10 children of her own. Nyaribo said it’s fitting generous strangers have helped his mother, who took in orphans and distant relatives without complaint. He had less than $100 when he arrived in Canada in 2000. Despite the many bills and other setbacks, he still calls himself lucky. 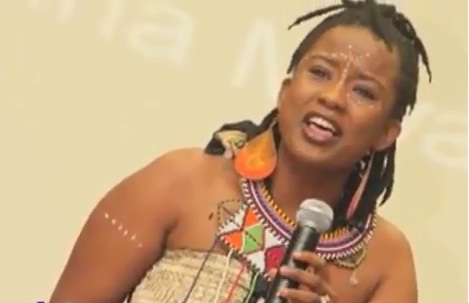 VOA’s Ndimyake Mwakalyelye talks to Kenyan artist Anna Mwalagho who continues to follow her dream even if it means taking a side road.